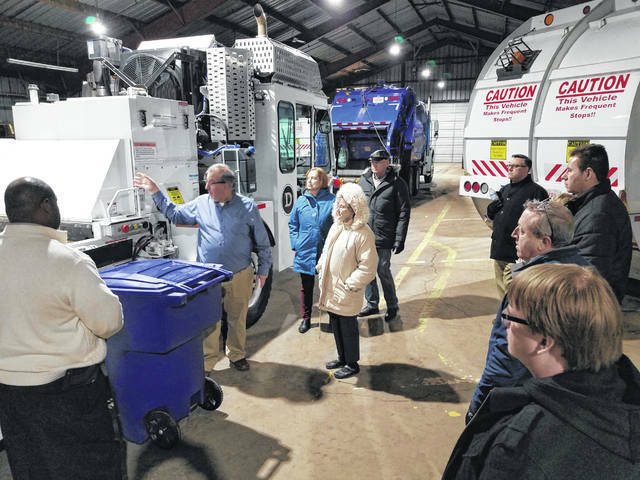 Pictured is Delaware Director of Public Works/City Engineer Bill Ferrigno showing members of last year’s Citizens Academy the ins and outs of trash collection. Learn how Delaware became the great city it is and meet your local government in person by enrolling today in the 10th City of Delaware Citizens Academy. The academy is an excellent way to go behind the scenes at key departments and learn the structure of city government and more. “For residents who want to become more involved in our community and those who are just curious about city operations, the academy is a great experience,” Mayor Carolyn Kay Riggle said. This popular program limits class size to 20. Registration information is at delawareohio.net. The application deadline is 5 p.m., Friday, Feb. 1.